Ponds—small, isolated freshwater bodies—have vanished in large numbers during the last decades. 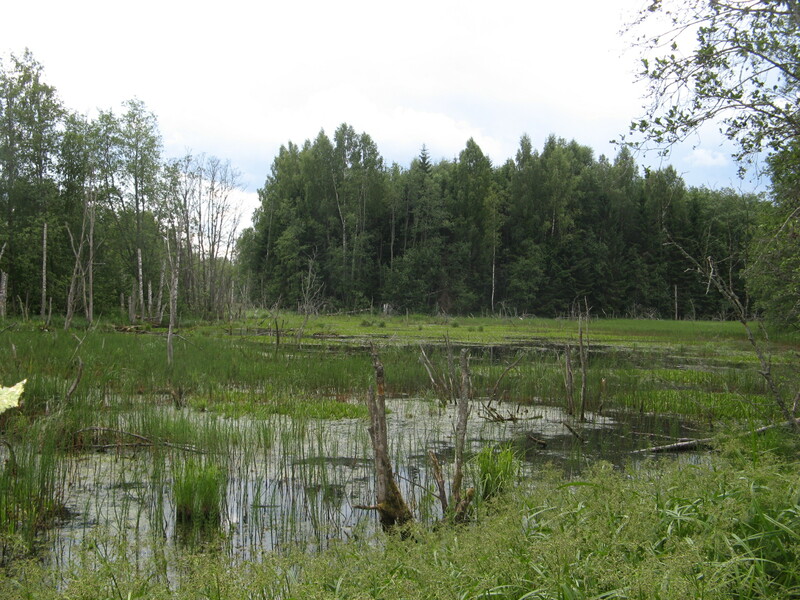 Despite such great loss, the number of natural small water bodies has still remained quite high in Estonia. 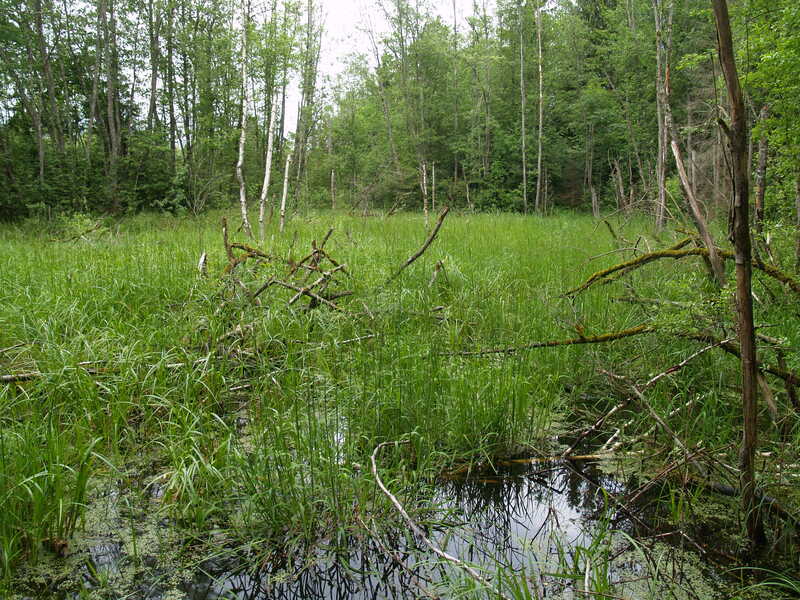 Nevertheless, many pond-related species, including amphibians such as the northern crested newt Triturus cristatus and the common spadefoot toad Pelobates fuscus—are in decline in Estonia, suggesting that the conditions of extant natural ponds might not be optimal. However, these conditions have never been examined. 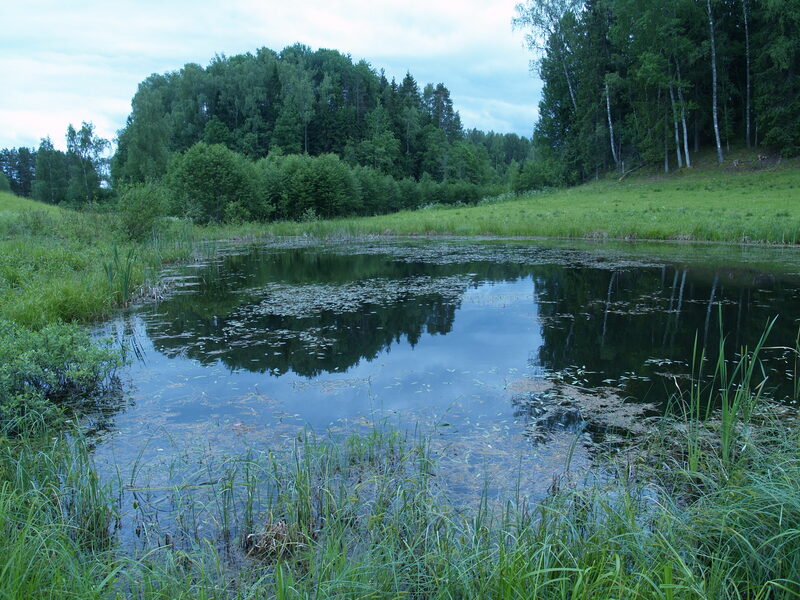 To halt the decline of these two pond-breeding species, more than 400 ponds have been constructed or restored from 2004 to 2014 in Estonia. 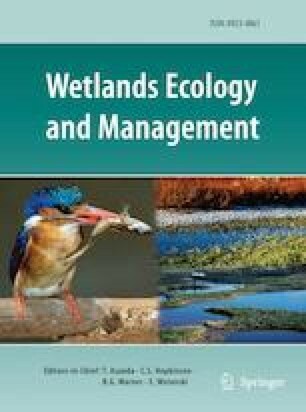 In this study we compared 85 natural and 85 constructed ponds (which were created or restored especially for T. cristatus and/or P. fuscus) to find out: (i) what the main differences are between natural ponds and ponds specially created for threatened species; (ii) whether natural ponds provide breeding conditions for local amphibians; (iii) given the decline of T. cristatus and P. fuscus, what are the characteristics lacking in natural ponds, due to which they are not providing quality breeding habitats for these species. Whereas the constructed ponds were located in open habitats with mineral soils, the natural ponds were mainly in mires and forests, being thus more shaded. Amphibian diversity was higher in the constructed ponds and was positively related to the depth of the pond, the clarity of the water, the presence of slanting slopes, the absence of fish and the presence of nearby fields. T. cristatus preferred constructed ponds for reproduction, while the breeding site selection of P. fuscus was determined mainly by terrestrial habitat characteristics. Importantly, when the threatened species were removed from the sample, the diversity of common amphibians did not differ between natural and constructed ponds, suggesting that in our study sites natural water bodies act still as breeding sites for common species, but not for threatened ones. 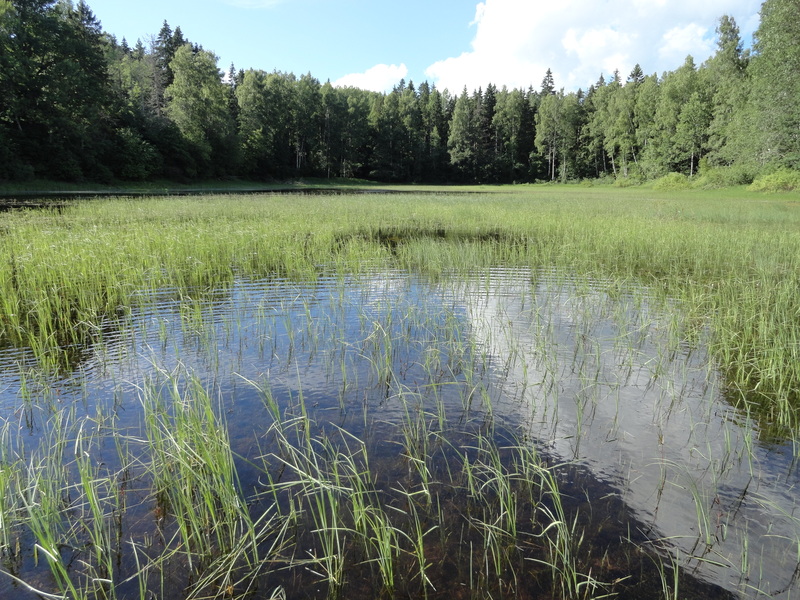 We conclude that pond construction is an important tool to halt the decline of threatened species, even in landscapes where natural ponds are still preserved. The online version of this article ( https://doi.org/10.1007/s11273-019-09662-7) contains supplementary material, which is available to authorized users. We thank E. Soomets, L. Remm, T. Kaasiku for help in the field, A. Lõhmus for constructive comments to the analysis and Sonya Thayer for language correction. The study was financially supported by the Estonian Research Council (grants no IUT 34-7, 9051, PRG314, PUT1363) and EU LIFE + project LIFE08NAT/EE/000257(DRAGONLIFE). See Tables 8, 9, 10.